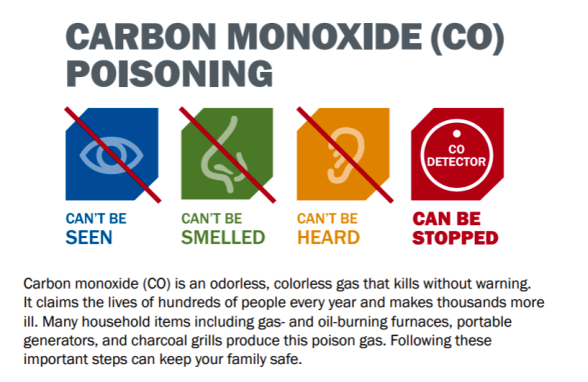 Carbon monoxide, or "CO", is an odorless, colorless gas that can kill without warning. It claims the lives of hundreds of people every year and makes thousands more ill. Many household items including gas and oil-burning furnaces, portable generators and charcoal grills produce this poisonous gas. The most common symptoms of carbon monoxide, CO poisoning are headache, dizziness, weakness, upset stomach, vomiting, chest pain, and confusion. CO symptoms are often described as "flu-like". If you breathe in a lot of CO it can make you pass out or kill you. People who are sleeping or drunk can die from CO poisoning before they have symptoms. • Install a battery-operated or battery back-up CO detector in your home and check or replace the battery when you change the time on your clocks each spring and fall. Place your detector where it will wake you up if it alarms, such as outside your bedroom. Consider buying a detector with a digital readout. 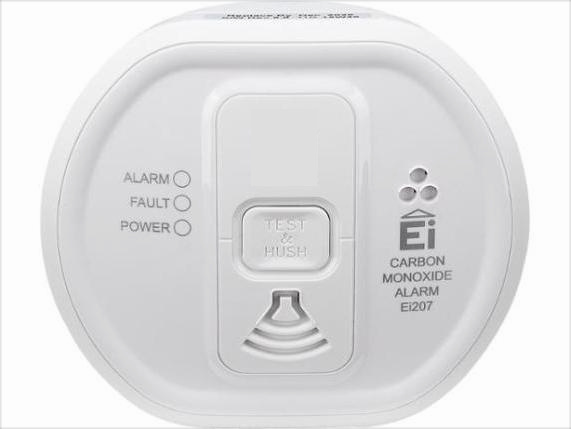 This detector can tell you the highest level of carbon monoxide concentration in your home in addition to alarming. Replace your CO detector every five years. • Have your heating system, water heater, and any other gas, oil, or coal burning appliances serviced by a qualified technician every year. • Do not use portable flameless chemical heaters indoors. • If you smell an odor from your gas refrigerator have an expert service it. An odor from your gas refrigerator can mean it could be leaking CO.
• When you buy gas equipment, buy only equipment carrying the seal of a national testing agency, such as Underwriters' Laboratories. • Make sure your gas appliances are vented properly. Horizontal vent pipes for appliances, such as a water heater, should go up slightly as they go toward outdoors, as shown below. This prevents CO from leaking if the joints or pipes aren't fitted tightly. • Have your chimney checked or cleaned every year. Chimneys can be blocked by debris. This can cause carbon monoxide to build up inside your home or cabin. • Never patch a vent pipe with tape, gum, or something else. This kind of patch can make CO build up in your home, cabin, or camper. • Never use a gas range or oven for heating. Using a gas range or oven for heating can cause a build up of CO inside your home, cabin, or camper. • Never burn charcoal indoors. Burning charcoal - red, gray, black, or white - gives off CO.
• Never use a portable gas camp stove indoors. Using a gas camp stove indoors can cause CO to build up inside your home, cabin, or camper. • Never use a generator inside your home, basement, or garage or less than 20 feet from any window, door, or vent. • Install battery-operated or battery back-up CO detectors near every sleeping area in your home. • Check CO detectors regularly to be sure they are functioning properly. • Have your furnace inspected every year. • Never use a generator inside your home or garage, even if doors and windows are open. • Only use generators outside, more than 20 feet away from your home, doors and windows. • Have a mechanic check the exhaust system of your car or truck every year. 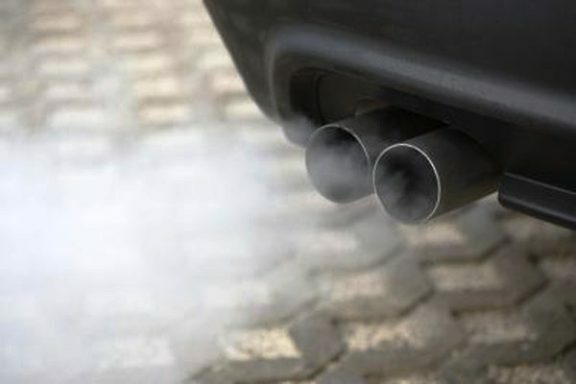 A small leak in the exhaust system can lead to a build up of Carbon Monoxide inside the car. • Never run your car or truck inside a garage that is attached to a house even with the garage door open. Always open the door to a detached garage to let in fresh air when you run a car or truck inside. • If you drive a car or SUV with a tailgate, when you open the tailgate open the vents or windows to make sure air is moving through. If only the tailgate is open CO from the exhaust will be pulled into the car or SUV.